The death toll in an hour-long coordinated attack on a government building in Afghanistan’s capital, Kabul, has risen to at least 43 people, according to health officials, making it one of the deadliest assaults on the Afghan capital this year. Hundreds of people were trapped on Monday on a site where the Ministry of Public Works and other offices are located when gunmen stormed the building and began moving from floor to floor targeting employees. 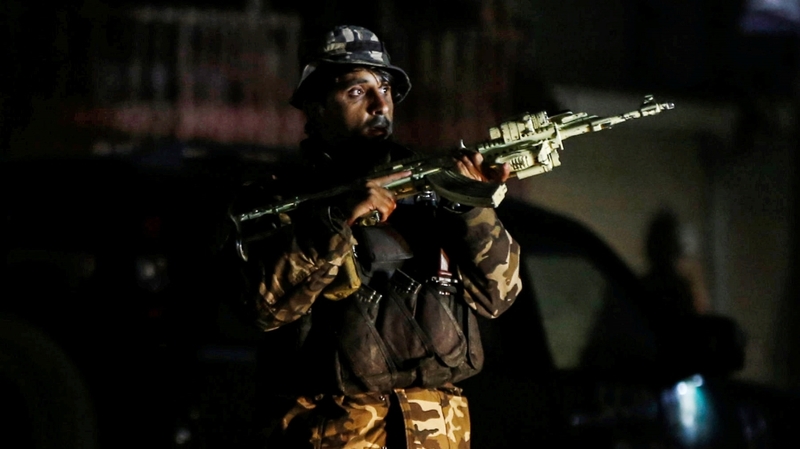 Others killed included a police officers and three of the attackers who were shot dead by Afghan security forces, Interior Ministry spokesperson Najib Danish said. Another 10 people were wounded in the attack. The attack began in the afternoon when a suicide bomber blew himself up in a car outside the public works ministry. Gunmen then stormed the building of the National Authority for Disabled People and Martyrs’ Families, taking civilians hostage as they fought a gun battle against Afghan soldiers. An official working in another government building close by said employees had locked themselves in their offices after hearing the explosions and gunfire. During the standoff, which reportedly went on for eight hours, the building’s second floor caught fire, according to local media. The Taliban launches regular attacks and controls nearly half of Afghanistan. But the Islamic State of Iraq and the Levant (ISIL, also known as ISIS) group, is active too. Both armed groups have previously launched coordinated attacks like the one on Monday. The raid capped a tumultuous few days in Afghanistan where officials are reeling from US President Donald Trump’s plan to slash troop numbers, which many fear could harm efforts to end the 17-year war with the Taliban. On Thursday, an official said the US president was planning to withdraw at least 5,000 of the 14,000 US troops in Afghanistan. The US intervened in Afghanistan to oust the Taliban from power in the wake of the September 11, 2001 attacks on the World Trade Center in New York and the Pentagon in Washington DC. The assault also comes a day after President Ashraf Ghani appointed Amrullah Saleh and Assadullah Khaled, both former spymasters known for their anti-Taliban and Pakistan stance, to head the interior and defence ministries, respectively. 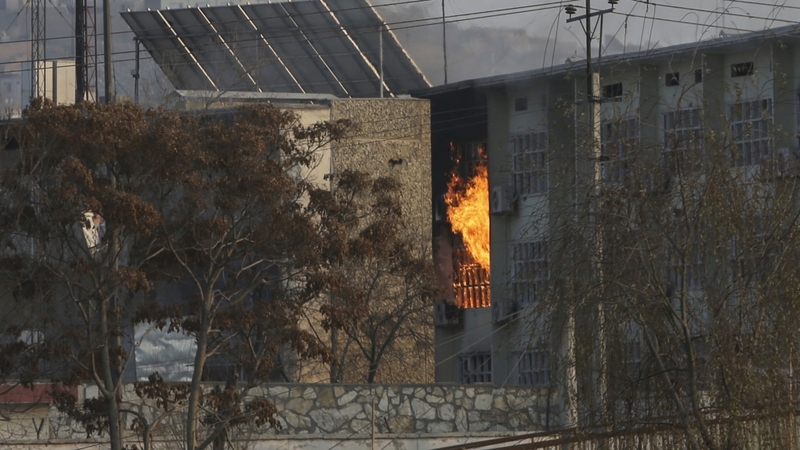 Several apartment buildings and a government public works department building are located in the same area of the eastern Kabul neighbourhood where the attack took place. One of the wounded civilians broke several bones after jumping from the third floor of a building to escape the attackers, an AFP news agency correspondent at a hospital said. Plumes of black smoke could be seen rising from the compound, with at least two military helicopters circling above. Journalists near the scene reported hearing numerous explosions in the hours after the attack began mid-afternoon.